I've had this dress in my wardrobe for nearly a month now and just not had the right occasion to wear it and didn't really know what to pair it with. I wanted to wear it with a t-shirt but it didn't look right with the mesh panel so I dug out my favourite smart blouse and come up with a slightly St Trinian's look. 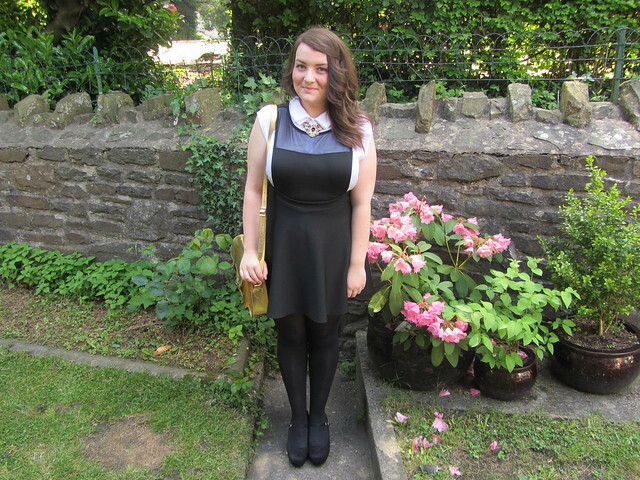 My old school uniform was black and white and the addition of a satchel definitely made me feel like a school girl. I have suffered through both new St Trinian's movies just because Paloma Faith and David Tennant are in them and I adore both of them.The dress is a bit of a bargain for £20 and would look great with a blazer and I might even try wearing a ribbon tied under my collar when I wear it next time. I've been on the hunt for these shoes for ages. They sold out in my size in New Look online and I couldn't find any in store but I discovered them on ASOS and snapped them up straight away. They are the perfect height, have a nice sturdy heel and will go with everything. They were also only about £17 with a discount code and I know they will get a lot of wear. 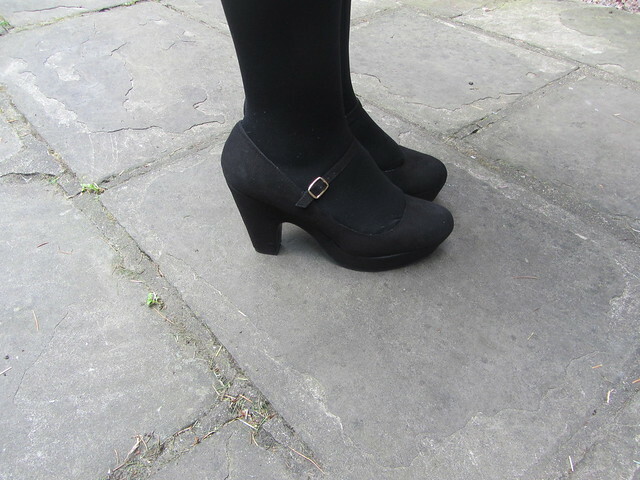 I've got the bug for court shoes again now after years of flat shoes and fancy a pair of French Connection Juines. The post title is borrowed from this song which reminds me of my trip to New Zealand a few years ago. I've been listening to it in the sunshine in my back garden with the volume turned up really high. Gemma you're looking gorgeous! Cannot wait until Cardiff! Very cute, that really works using a blouse underneath. Instead of ribbon, how about a 'Kentucky Tie'? Try BJs Western Wear online, that's where I got one! I have those shoes! Twice! They're my absolute favourites. I wish they'd make them in a load of colours. I know, I would love a pair in red. Really cute, love the necklace!